Been quiet but not dead! Some pretty exciting things coming up. Really excited for the awesome events KHFF have planned. 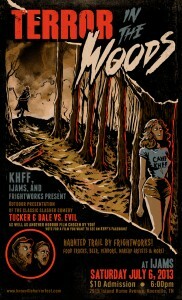 Next week, KHFF is working with Ijams and Frightworks to bring you the Terror in the Woods! We will have an outdoor presentation of “Tucker and Dale Vs Evil” plus another classic slasher film. Frightworks is working on a haunted trail. There will be vendors, food trucks, and make up artists to transform those interested into ghouls, zombies or whatever you desire. 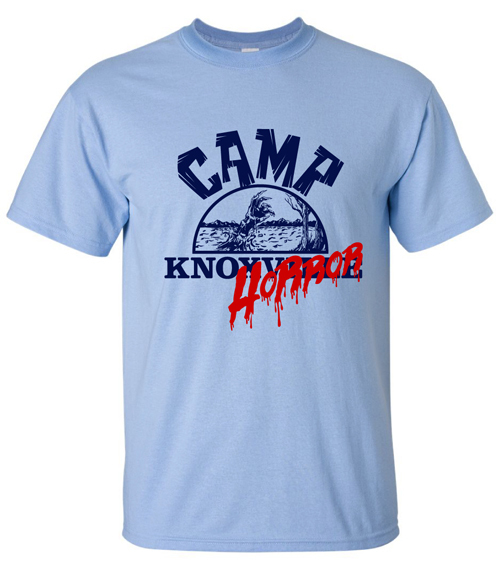 If you’re not excited yet, then check out the flyer and KHFF CAMP shirts I designed for this event. 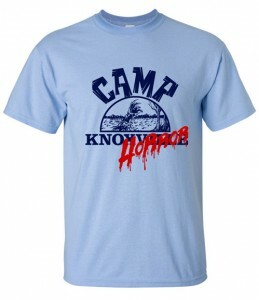 KHFF will also have these neat-O shirts available! For those of you in the Knoxville area, you will not want to miss out on this one! It will definitely be a killer time!